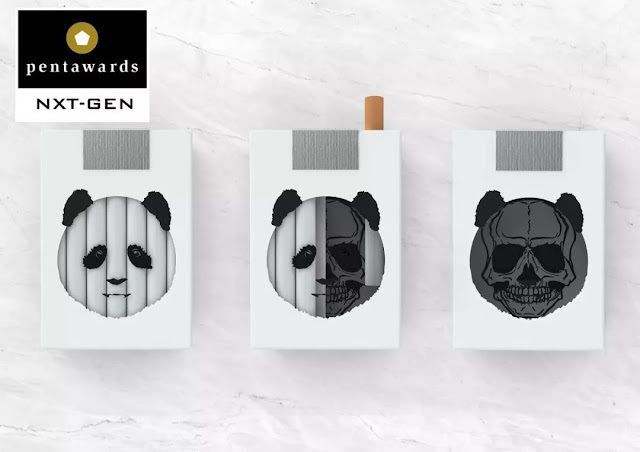 The 18-year-old Chinese college student design creative cigarette case has become the youngest winner in the history of "Package Design Oscar“! 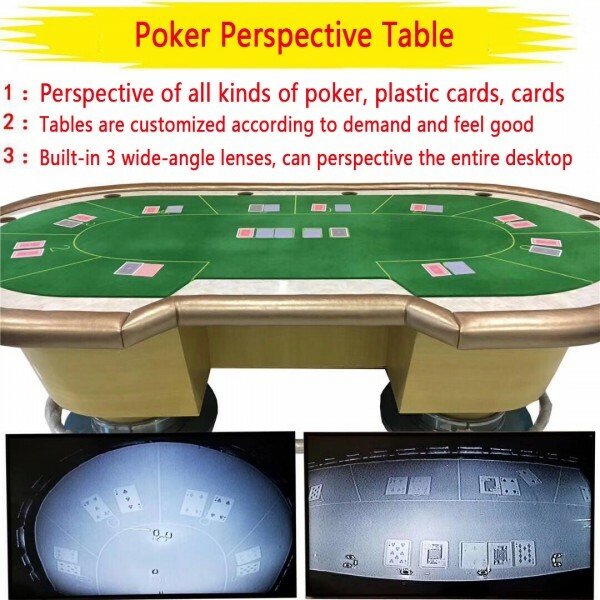 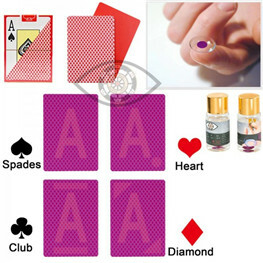 We can customize any poker..
it is processed with invisible ink by our company and will not be recognized by naked eyes,however,you can see the suit and number of the cards with special UV contact lenses and perspective glasses very clearly .It can use for party gambling..
¡Hola! 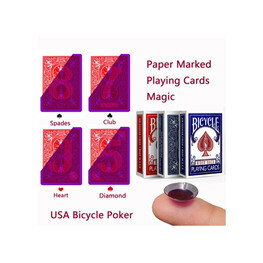 ¡Bienvenidos! 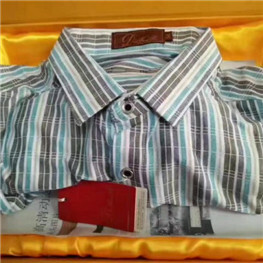 En el proceso de compra, usted encuentra cualquier problema, por favor comuníquese primero con nosotros. 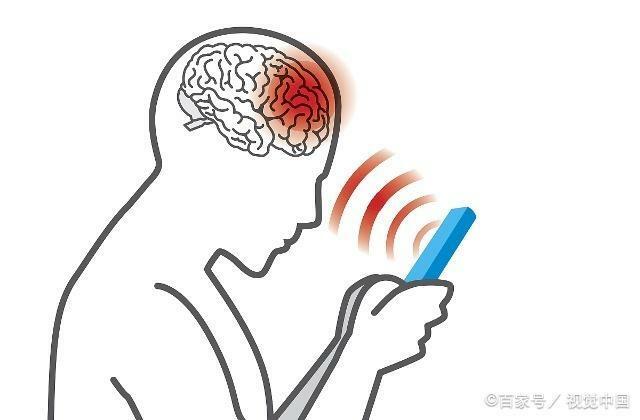 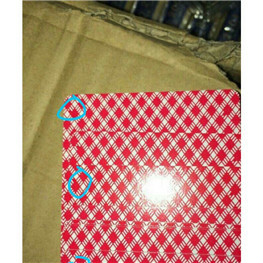 Le daremos una respuesta satisfactoria lo antes posible. 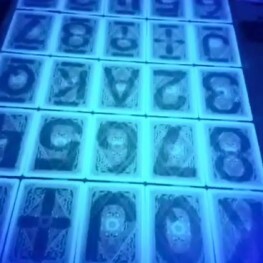 Si no se comunica y da malos comentarios, perderá un proveedor excelente..
Mahjong tiles can also be marked by infrared invisible ink. 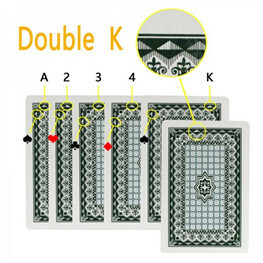 We usually mark Mahjong tiles on one, two or three sides. 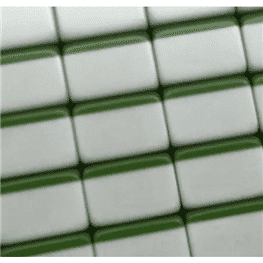 There is no chromatic aberration between the original Mahjong tiles and the processed ones. 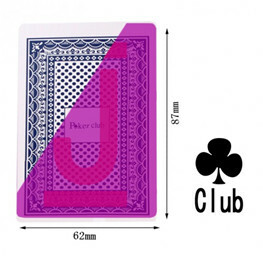 Besides, the marked Mahjong tiles are not..
poker club Plastic Playing Card with two jumbo Index.We marked the numbers on the backside of the cards .The marked cards look like mormal cards and nobody can find any difference.. 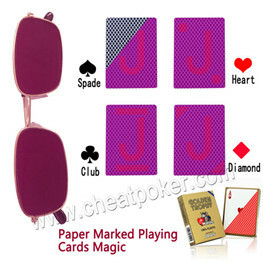 It is original Poker Club plastic playing cards made in China, it is processed with invisible ink by our company and will not be recognized by naked eyes,however,you can see the suit and number of the cards with special UV contact lenses and perspective..
We marked the numbers with suite on the backside of the cards for uv contact lenses.The marked cards looks like normal cards and nobody can find any difference. 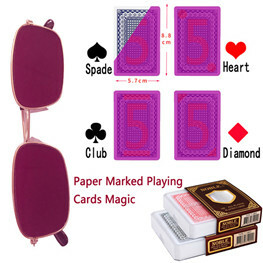 And you can use our perspective glasses or contact..
We marked the numbers on the backside of the cards .The marked cards look like normal cards and nobody can find any difference.The players can see the numbers and suits of the marked playing cards by our perspective glasses and contact lenses..
And you can use our perspective glasses or contact lenses to see it. 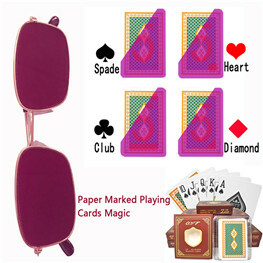 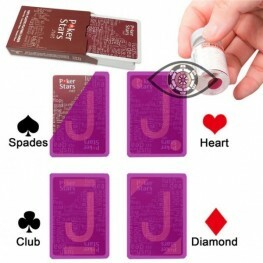 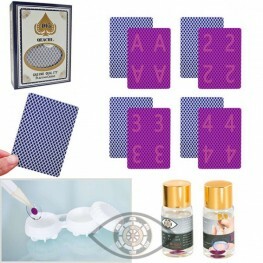 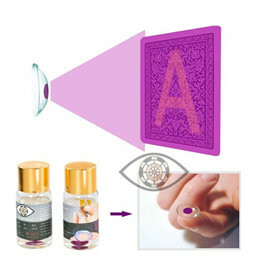 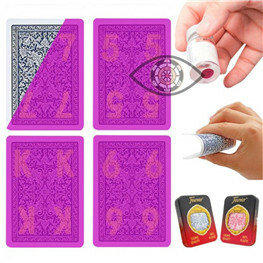 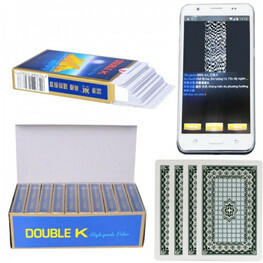 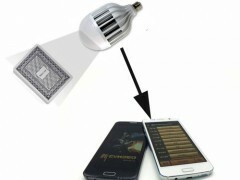 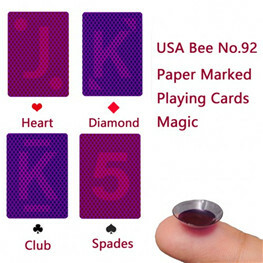 With this invisible ink, the players can see the cards of opponents easily, reasoning out the results in the game.And we can Providing custom services..
plastic playing cards are marked with invisible ink.From the appearance,the marked cards are the same as the normal cards,so nobody will find the difference.With this amazing and incredible ink, the players can see the cards..
GYT plastic playing cards are marked with invisible ink.From the appearance,the marked cards are the same as the normal cards,so nobody will find the difference.With this amazing and incredible ink..
we mark at the the cards , which looks like normal . 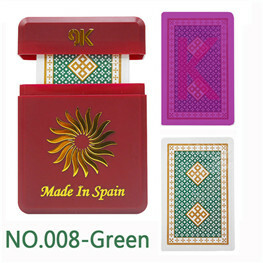 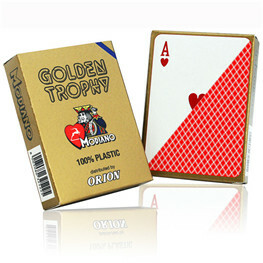 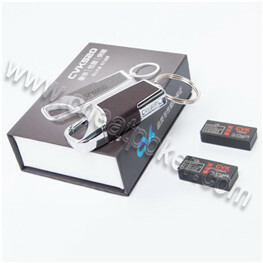 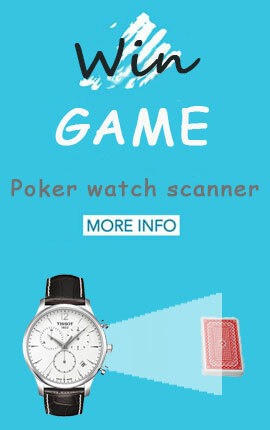 If you are interested in this poker cards , do not miss them . 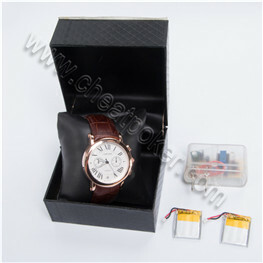 We can customize..